Disney’s recentacquisition of Lucasfilmsgave them the rights to all visual and film technologies, the Indiana Jones franchise and the Star Wars franchise. While not much is being said about Indiana Jones, Disney have said that Star Wars will return for three new episodes. New reports have come out that say Darth Vader will return for the next episode, with film analysts saying; “He’s an integral part of the franchise. Replacing him is virtually impossible,” and that being a sci-fi, anything can happen. 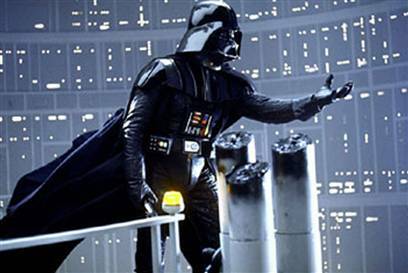 While we do think of Darth Vader as one of the prominent characters in the Star Wars franchise, we feel that the plot of the whole series was to see Darth Vader retain balance to the force. He did that in the end, killing Darth Sidious and ending the Sith reign of the galaxy. The whole theme at the end was that Darth Vader had balanced the force and did his part. To re-open that page, especially when he had turned good, would ruin the integrity of the story, in our opinion. We believe that Michael Arndt, the screenwriter for this next Star Wars episode, knows this and won’t bring Darth Vader back. Vader may be a money maker and may entice some people that wouldn’t read a Star Wars comic to go see the movie, but the overall reaction of bringing Vader back in a time after his death would be one of annoyance, that Disney have wrecked Star Wars and made it a money-pig. The three characters Princess Leia, Hans Solo and Luke Skywalker will be coming back, we believe. We have speculated that they may all have continued working for the good side and that a new danger, Sith or not, may erupt and take over. Whether Luke and Leia take prominent roles in this next episode is under speculation, we believe there will be a new hero.